Ansio, H., Seppälä, P., & Houni, P. (2017) Teachers’ experiences and perceptions of a community music project: Impacts on community and new ways of working. International Journal of Education & the Arts. Vol. 18, No. 37. Bygren, LO., Weissglas, G., Wikström, B-M., Konlaan; BB., Grjibovski, A., Karlsson, A-B., Andersson, S-O. & Sjöström, M. (2009). Cultural participation and health: A randomized controlled trial among medical care staff. Psychosomatic Medicine. Vol. 71, No. 4, s. 469-473. Liikanen, H-L. (2013) Taidetta ja työn iloa! KULTA-tutkimus 2012-2013. Suomen Kultuurirahasto. Theorell, T., Osika, W., Leineweber, C. et al. (2013). Is cultural activity at work related to mental health in employees? International Archives of Occupational and Environmental Health. Vol. 86, No. 3, s. 281-288. Tuisku, K. & Houni, P. (2015). 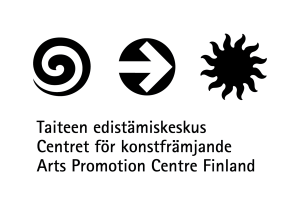 Experiences of Cultural Activities provided by the Employer in Finland. Nordic Journal of Working Life Studies. Vol. 5, No. 1. s. 115-131. Tuisku, K., Pulkki-Råback, L. & Virtanen, M. (2016). Cultural events provided by employer and occupational wellbeing of employees: A cross-sectional study among hospital nurses. Work 55, s. 93-100.
von Brandenburg C. (2009). 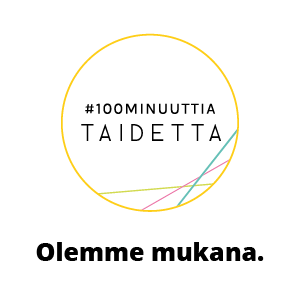 Taiteen merkityksestä työhyvinvoinnin edistämisessä. Journal Origins – Finnish Studies in Art 2/2009. Taideteollinen korkeakoulu, Helsinki. s. 47-58. Wilson, C., Bungay, H., Munn-Giddins, C. & Boyce, M. (2016). Healthcare professionals’ perceptions of the value and impact of the arts in healthcare settings: A critical review of literature. International Journal of Nursing Studies 56, s. 90–101.